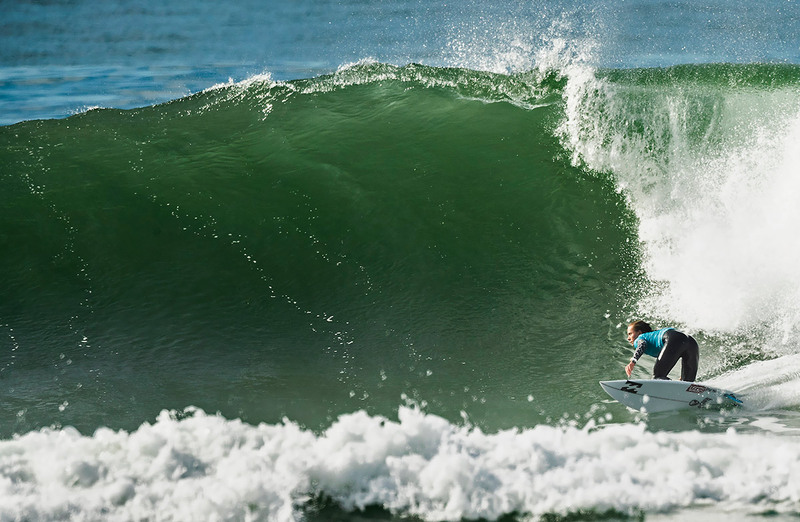 For the men, there's still a good few candidates, probably three, with two events to go, after Wilson, 27, won the Quiksilver Pro France on the weekend. He strengthens his third place and moves to just 4,645 points behind new #1 Gabriel Medina (BRA), who dethroned Filipe Toledo at the top of the Jeep Leaderbird with his third. Toledo had a shocker with his 13th. It's a long shot for #4 Italo Ferreira and Jordy, who moves one place up after his 5th place, with Ferreira 13,635 points behind Wilson, and Jordy just 1,470 points further back. The MEO Rip Curl Pro Portugal, which runs virtually back-to-back from tomorrow Tuesday October 16 to October 27, is the penultimate stop for the men’s CT, with the Billabong Pipe Masters the finale after a month-long break in November, starting December 8. Who would you put your money on. On the Women's Tour, American Courtney Conlogue won in France, but it's Australian Stephanie Gilmore who is assured her seventh World Title with a 3rd or better at the finale, the Beachwaver Maui Pro in Honolulu starting November 25, and she's the defending champion there. If Gilmore finishes 5th or worse, American Lakey Peterson must win the event to force a surf-off for the World Title in a format determined by the Commissioner’s Office. The final day of competition saw Wilson and Conlogue plough through a stacked field to earn their wins at the 17th running of the iconic French event. Wilson’s victory in France is his second of the season after the Quiksilver Pro Gold Coast earlier this year. Only a month before the 2018 season opener on the Gold Coast, Wilson suffered a serious shoulder injury and it was unclear whether he would be able to compete. The win proves his mettle. Conlogue has been fighting her way back after a foot injury that sidelined her for the first half of the season. The Championship Tour veteran, in her eighth year competing with the Top 17, won the Vans US Open of Surfing and took fifth at the Surf Ranch Pro, and now claims her maiden win in France and the 11th of her career, pushing her to #8 on the Jeep Leaderboard. In the men’s Final, Ryan Callinan (AUS) comes off a ripper on the Qualifying Series, culminating with his win at the QS10,000 in Ericeira two weeks ago to seal the deal for his 2019 qualification. The goofyfoot from Newcastle perfectly transitioned to the big leagues in this event. Callinan spent one season on the CT in 2016 but never made it past 9th place back then, and this runner-up result marks a career-best achievement for the 26-year-old. 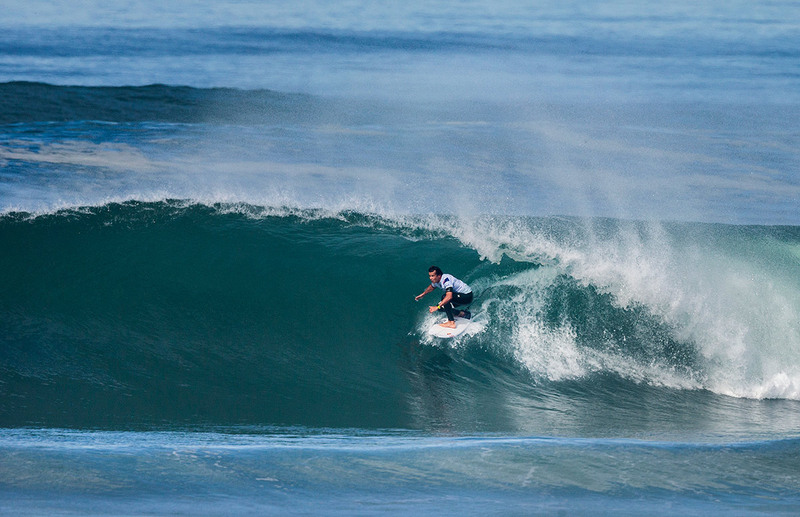 The 2018 WSL Title race heated up in the men’s Semifinals as Medina and Wilson fought it out for a place in the Final. The 30-minute heat was an unbelievable exchange of aerial mastery. Wilson’s performance deprived the 2014 World Champion of a shot at a third straight win in France and slowed his incredible streak on the CT, but his 3rd gives him the yellow Jeep Leader Jersey going into Portugal. Conlogue started the women's Final against Macy Callaghan (AUS), 17, Australia’s up-and-coming superstar. As 2016 World Junior Champion, the young surfer has been given the chance to compete on the WSL CT as a replacement for injured CT competitors. This finish marks Callaghan’s career-best result in only her eighth time competing at the elite level, and she is on the cusp of qualification for the 2019 season. 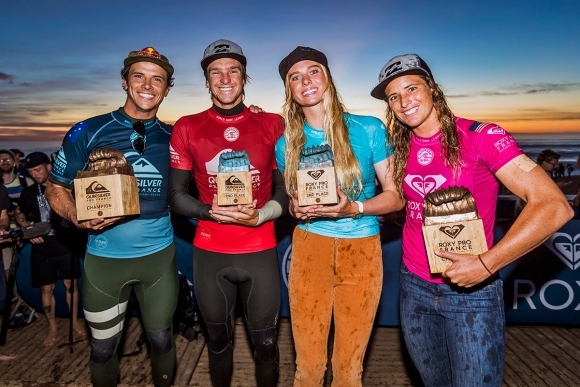 She defeated a slew of great surfers on the way, with a Round 2 victory over Nikki Van Dijk (AUS), a 2nd in Round 3 (eliminating veteran Sally Fitzgibbons (AUS), and wins over Coco Ho (HAW) and Bronte Macaulay (AUS) in the Quarterfinals and Semifinals. The final stop is the Beachwaver Maui Pro from November 25 to December 6, 2018. For highlights from the Quiksilver Pro and Roxy Pro France, visit www.WorldSurfLeague.com.